Yay!!!! 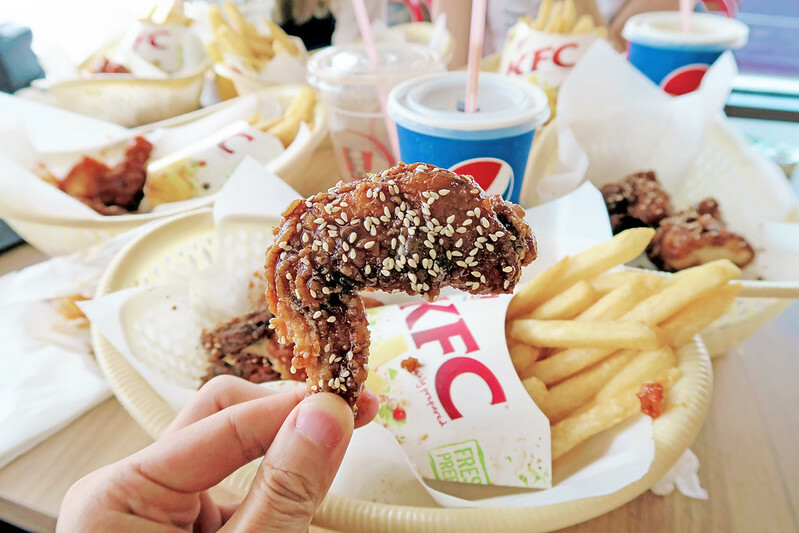 The KFC Wings are back again!!!! If you guys still remember previously, it was Umadare flavour vs Yang Yeum flavour and after trying both, I mentioned that I prefer the Yang Yeum flavour better! To me, the Yang Yeum flavour is really flavourful and I love the sweet and spicy taste! 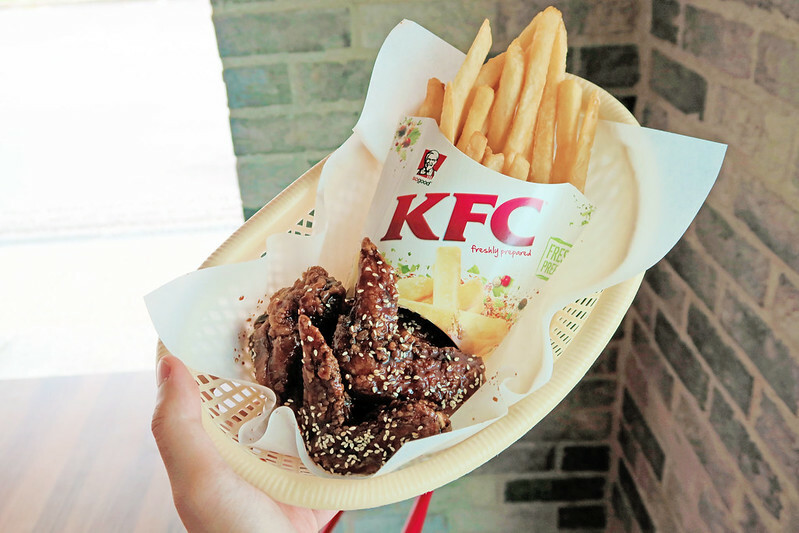 After voting by the public and all the KFC fans, Yang Yeum flavour emerged as the champion too! ! But this time round, the defending champion Yang Yeum is back… only with an all-new flavour to beat! 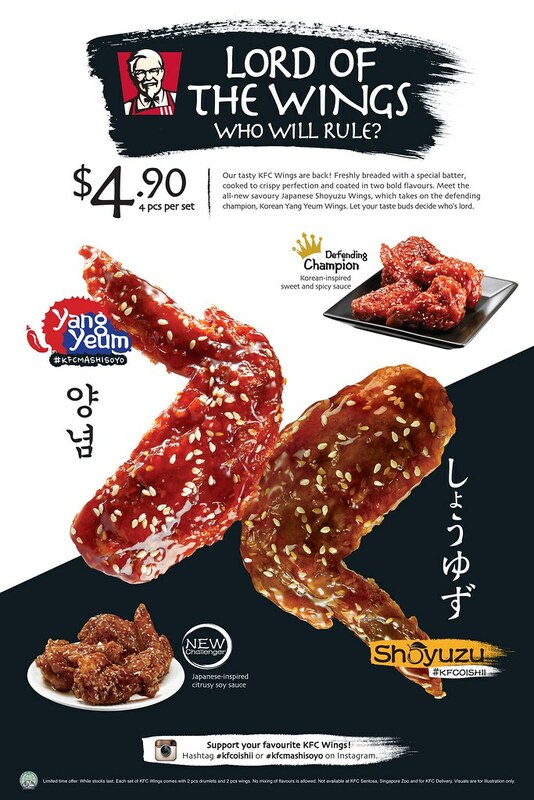 Presenting to you the new contender, the all-new savoury Japanese Shoyuzu Wings! 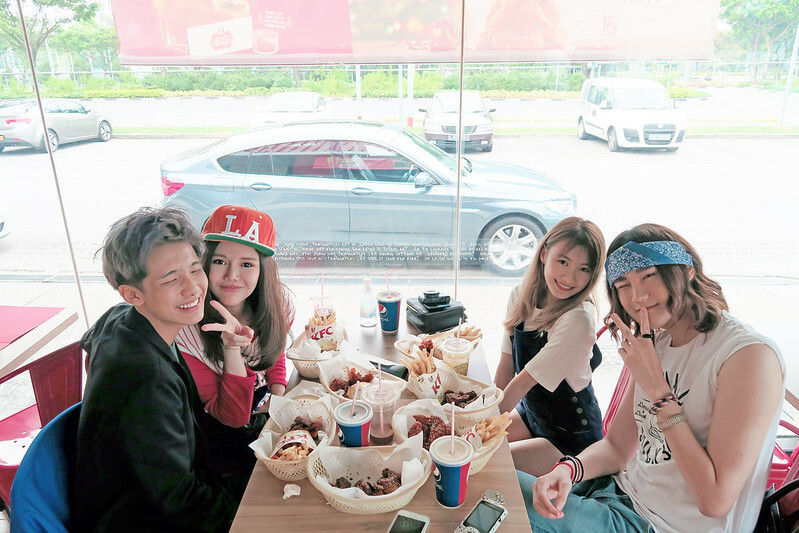 Our table is filled with the 2 different flavours of KFC Wings and we all had a great time catching up over the delicious wings - which are freshly breaded with a special batter and cooked to crispy perfection! I still like the spicy Korean Yang Yeum Wings, but after trying the new Japanese Shoyuzu Wings... I LIKE IT EVEN MORE! The Shoyuzu Wings are coated with a citrusy soy sauce and I find it very appetising, after finishing one... you will want to eat more! I'm a convert, now I'm team Shoyuzu (sorry Yang Yeum)! 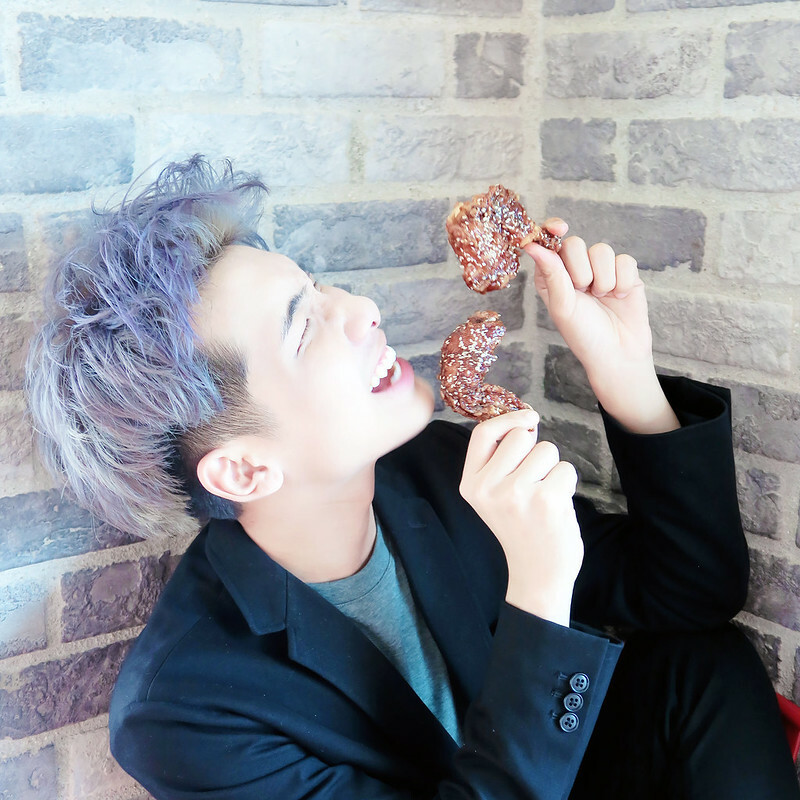 Just look at how loving I am with my Shoyuzu Wings hahaha! You all can vote for your favourite flavour too! Just go here: http://inmobiads.com/kfcwings/index.php and simply pick a side, take a selfie, and share the image on Facebook. 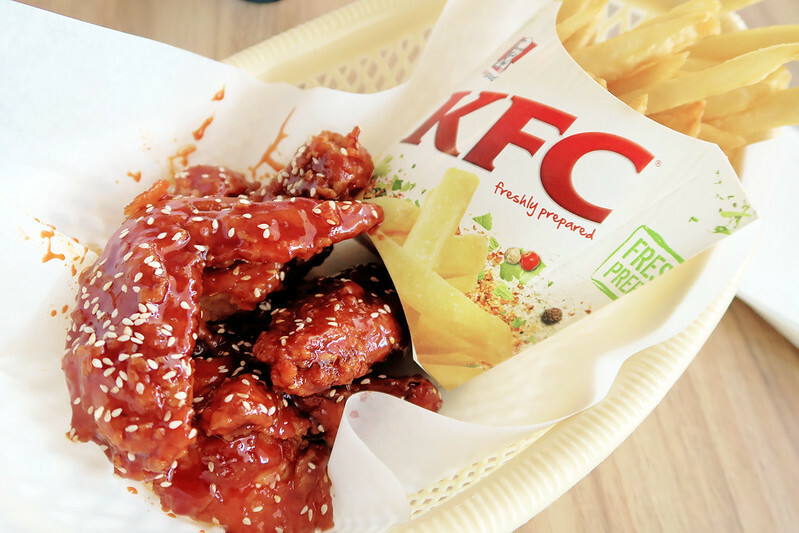 After that you can also download a $1 OFF Wings Rice Bento Set/Wings & Fries Set coupon at the end too! And if you upload the selfie on Instagram with the hashtag #kfcoishii or #kfcmashisoyo, you will also stand to win $50 KFC vouchers too! 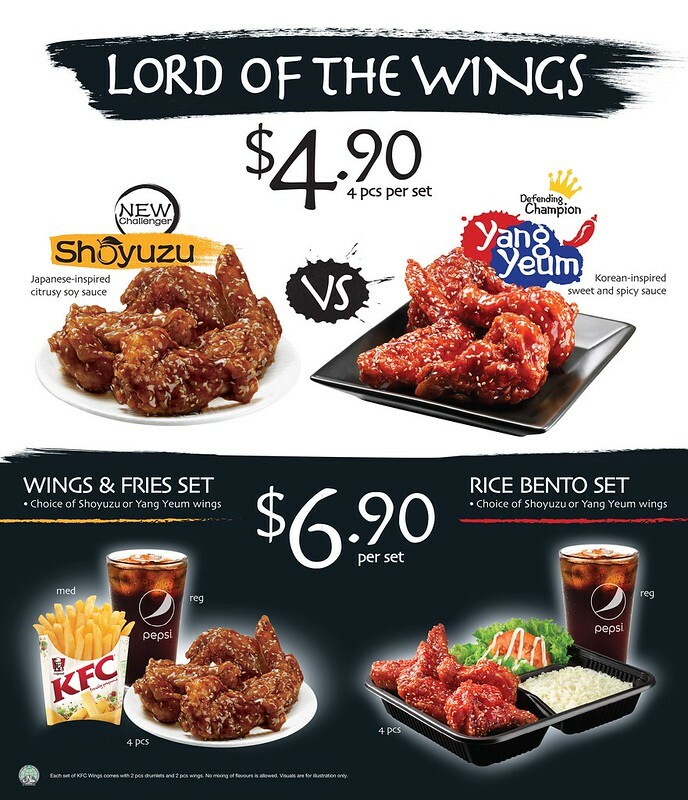 KFC Wings are now available in an a la carte set of 4 pcs (choice of 1 flavour) at only $4.90! 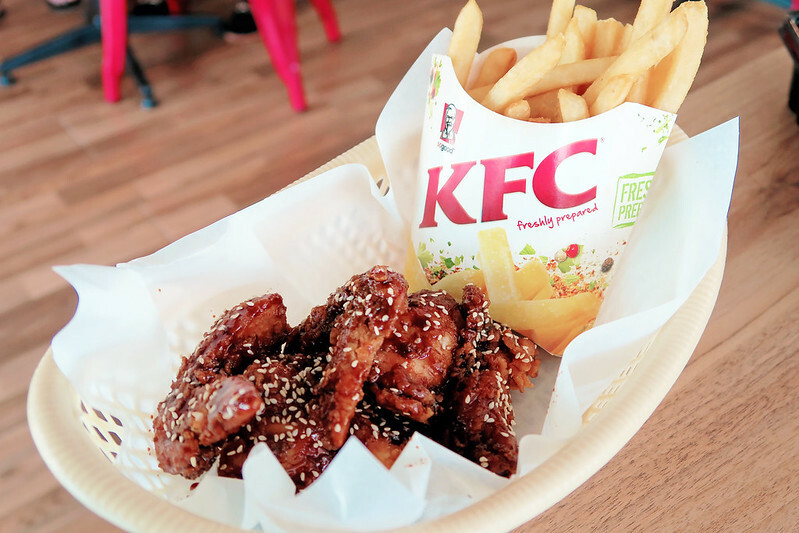 You can also go for the Wings & Fries Set, which comes with 4 pcs Wings, a medium Fries and a regular Pepsi at $6.90. 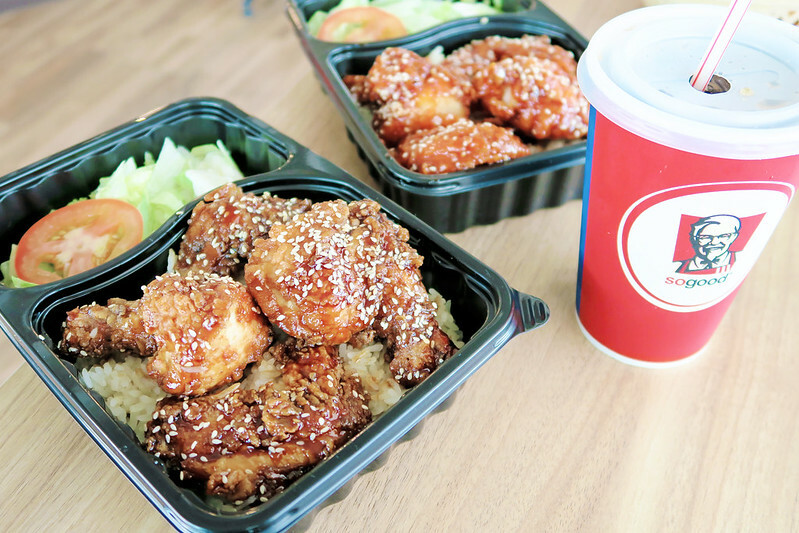 You can also enjoy them in the Wings Rice Bento Set which comes with 4 pcs Wings, fragrant chicken rice, a side salad and a regular Pepsi at $6.90 too! I know it's almost impossible to make a choice between these 2 flavours, so why not try both and see which you prefer? Don't forget to pledge your support on your favourite flavour! Can't wait to see which one will be the Lord of the Wings!